The Department of Zoology was established in 1951. 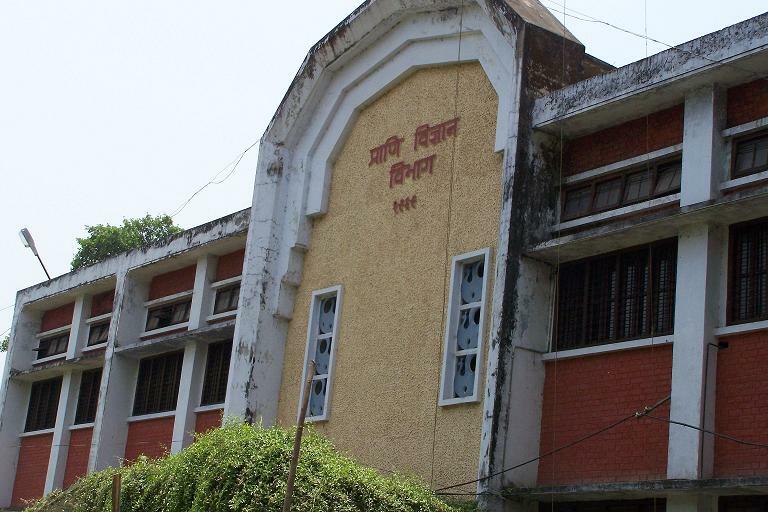 Department of Zoology was sharing building (upstairs) with Chemistryn till 1968 under the able leadership of Mr. V. R. Jha and shifted in new building in 1969. Currently the department is offering Zoology as a subject in B.Sc. and the total number of students being benefited each year is about 500. There are seven approved posts and presently two full time faculty members and one guest lecturer is serving in the department who are taking care of the teaching-learning activities. The first job oriented course of the college entitled ‘Diploma in Laboratory Technology// was started in 1996. This part time evening diploma program is of two years duration and is for students of college as well as students of the other institutions. In the year 2015 - 2016 the department has started one UGC approved Bachelor of Vocation (B.Voc.) Program in Food Processing. This is a full time three year degree program under the semester system. The present head of the department is Dr. Lily Saroj Nathan.